A recent survey made by the famous aviation site, CAPA Aviation, shows that RwandAir provided 17 952 seats, on its African network, from 11 June 2013 to 17 June 2013. 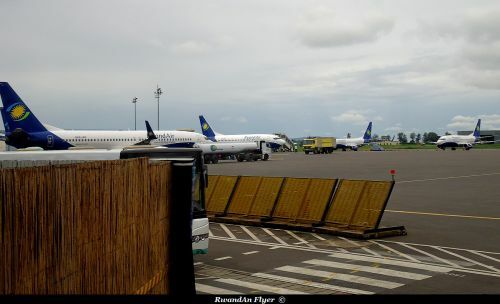 With this figure, RwandAir is ranked 9th. The figure will grow, with the opening of flights to Douala and Juba. Ethiopian Airlines, South African Airways and Kenya Airways are the top three airlines, with respectively 81 280, 80 710 and 69 446 seats. Just behind, we find 3 North African airlines which are EgyptAir, Royal Air Maroc and Tunisair. EgyptAir and Royal Air Maroc have a strong African network, while Tunisair is currently expending its African network. It's not the case of Air Algérie which has poor network in Africa, but however the airline plans to expend it. Asky Airlines of Togo (Ethiopian Airlines group), Libyan Airlines and Air Austral (Saint Denis la Reunion) are the others airlines in this ranking.